“Once you find the field, which is interesting for you, science cannot be boring. After all – science is everywhere, be it related to nature, technologies, music or other areas. 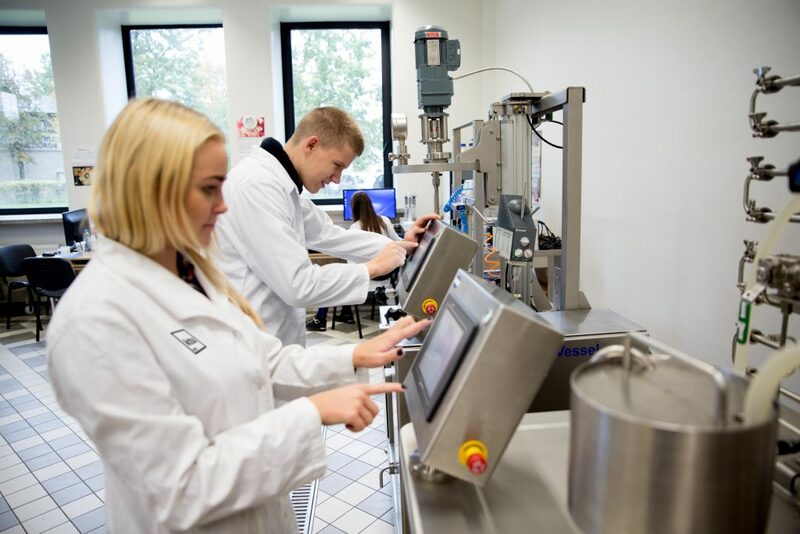 Science can answer all your questions”, says Julija Kravčenko, a 3rd-year biomedical engineering student of Kaunas University of Technology (KTU). Julija, a GIFTed Talent Academy student, who has recently completed an internship in NASA Ames Research Centre in the US, is convinced that a scientist’s career is the most fascinating of all. According to the Eurostat survey using figures from 2016, 60 per cent of scientists and engineers in the EU are men, while just 40 per cent are women. Worldwide, less than 30 per cent of scientific researchers are women, according to the United Nations. According to a UN study of 14 countries, women are far less likely to obtain a Bachelor’s degree, Master’s or PhD in a science-related field, and are underrepresented in science, technology, engineering and mathematics at both graduate and research levels. However, the situation in Lithuania is different. 58 per cent of Lithuanian scientists and engineers are women, and this is the highest proportion of women in science and tech in Europe. The three countries that have more female than male scientists and engineers are Lithuania (58%), Bulgaria (54%) and Latvia (52%). Less than one-third of scientists and engineers are women in Luxembourg (25%), Finland (28%), Hungary (31%), Austria (32%) and Germany (33%). European Commission is aiming for equality and equal opportunities in all the sectors, including equal opportunities for women and men in science. The Prize for Women Innovators, established in 2011 attracts numerous applications from women researchers, who participate in the competition with actual innovations introduced in the market. According to Carlos Moedas, the EU Commissioner for Science, Research and Innovation, this Prize competition serves as a perfect motivator for both women and men working in the field. Aiming to attract more women and girls into science, technologies, engineering and ICT sectors, various organisations in Lithuania and other countries are organising events, such as Women Go Tech, Girls in ICT and other initiatives. “The initiatives, which aim to attract more women and girls into technology and ICT sectors, are very useful while trying to encourage women to choose careers connected to technologies and innovations. There should be more of them and they should start in earlier age”, says Kamilė Ciechanavičiūtė, KTU graduate, Managing Director of IT company Virtustream LT.
Kaunas University of Technology (KTU) is contributing to building the number of girls and women in science and tech: 53 per cent of all women, studying at KTU, are studying in physical sciences, engineering and technology fields. At the moment almost 75 per cent of KTU students are studying physical sciences, engineering and technology.